This is the display that our local K of C put up. It looks much more beautiful at night. 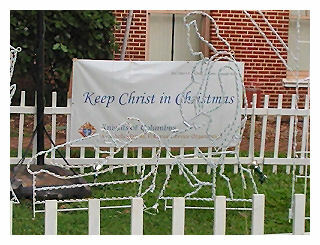 NEW HAVEN, Connecticut, DEC. 8, 2006 (Zenit.org).- The Knights of Columbus are encouraging millions in North America again this year to not lose sight of the real meaning of the holiday season, and to "Keep Christ in Christmas." The Christmas message is being spread as public service announcements on radio and television in English and Spanish in the United States and Canada, along with hundreds of billboards that have been put up by local Knights of Columbus councils. "In the midst of an increasingly materialistic and secular society, it is all too easy to lose sight of what Christmas really means. We give gifts to each other because it is the day on which we celebrate the ultimate gift: the Christ child, the savior of mankind," said Supreme Knight Carl Anderson. "Even those who do not share the Christian faith can and do appreciate the message of peace and hope that this Christian holiday -- holy day -- brings to the world. It is a message that the world needs now more than ever," he added. The Knights have launched similar campaigns since the 1980s. Last year, the Knights of Columbus Christmas announcements reached more than 43 million television viewers and up to 37 million radio listeners. The following is a beautiful poem that my friend Easter wrote and was published in last week's Hawaii Catholic Herald. The earth trembles with joy and expectation. Get ready to clap your hands and to dance with glee. The mountains are raised toward You, My Love. And the oceans sway to the wind's delight. They all joyfully await Your coming. To create a harmony of exaltation. Its beauty already permeates the land. I am simply awed and mystified! And my son will reach the top of themountains. Father, You prepared the Virgin Mary to be the worthy mother of your Son. 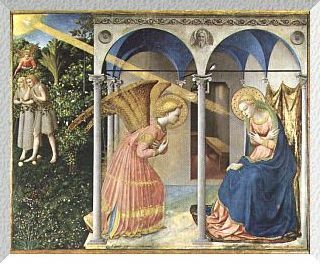 You let her share beforehand in the salvation Christ would bring by His death, and kept her sinless from the first moment of her conception. Help us by her prayers to live in your presence without sin. We ask this through our Lord Jesus Christ, your Son, who lives and reigns with you and the Holy Spirit, one God, for ever and ever. Amen. And he came in unto her, and said, Hail, thou that art highly favored, the Lord (is) with thee. - Pius IX, Ineffabilis Deus, 1854. Also, be sure to read "Why the Immaculate Conception?" by by The Rev. Paul Mankowski, S.J. by clicking HERE Thank you Sue for sharing this with me! "Pure. Whole. Intact. Entire. Spotless. Stainless. Sinless. unsoiled. Unsullied. Unblemished. Uncorrupted. Immaculate!" It may seem pointless at such a time, in such a place, to hold up the Virgin Mary, and especially her Immaculate Conception, as a source of nourishment for our lives as Christians. For her perfection can appear so remote from the moral sweatiness and squalor in which our personal struggles occur that it recedes entirely into the background; it is swallowed up by our furious temptations and enthusiasms, and so is lost to us. This remoteness is widened, and not helped, by a way of speaking which would present the Virgin Mary to us as "the representation of an Ideal", that is, as an abstraction, or at best a personified Virtue, like the Roman goddesses of Wisdom or Moderation. Thus, she, who begins as a real flesh-and-blood woman, "a virgin, betrothed to a man named Joseph", as today's Gospel has it, becomes an the end an abstract noun, a figure of speech. Hawaii wasn't on the list for showing. Hopefully, you will find it showing in your area. Picturing Mary is a stunning new, high-definition documentary to debut December 2006 on public television. It explores how images of the Virgin Mary reflect numerous traditions, devotional practices, and cultures. The one-hour program leads viewers on a pictorial journey through history from earliest Christian times to the present day. It presents a fascinating array of art from twelve locations in eight different countries. The documentary is a joint effort of the United States conference of Catholic Bishops’ Catholic Communication Campaign and New York Public Television station Thirteen/WNET. The program is narrated by actress Jane Seymour and features quotations read by actor James Keach. For a list of air dates and times, and for background information, visit Picturing Mary. 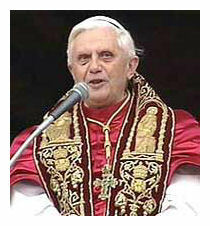 VATICAN CITY, DEC. 4, 2006 (Zenit.org).- Benedict XVI says that it is urgent to emphasize "the sacredness of the Lord's Day and the need to participate in Sunday Mass." The Pope expressed this in a message sent to Cardinal Francis Arinze, prefect of the Congregation for Divine Worship and the Sacraments, on the occasion of a study day organized by the Vatican dicastery. The study day marked the anniversary of the promulgation of the Second Vatican Council constitution "Sacrosanctum Concilium" of Dec. 4, 1963. The meeting on the topic "Sunday Mass for the Sanctification of the Christian People" was held Friday in the Vatican. Today, it is necessary to emphasize the "sacredness of the Lord's Day," as "the cultural context in which we live, often characterized by religious indifference and secularism … obfuscates the horizon of the transcendent," the Pontiff added. In his opening address to the congress, Cardinal Arinze analyzed some of the cultural challenges that must be addressed to restore the central character of Sunday. He pointed out the negative idea of the "weekend," understood as free time from work which makes of the holiday a day like any other. This afternoon I was saying my prayers and something I read really struck me! Jesus is the ONLY Savior of the world!! Wow, isn't that awesome? For some reason, God chose today to make me really feel that very powerful truth. 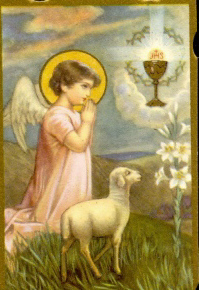 I bow down before You, O Bread of Angels, with deep faith, hope and love and from the depths of my soul I worship You. "Many people think that having money makes you happy. I think it must be harder to be happy if you are wealthy because you may find it difficult to see God; you'll have too many other things to think about. However, if God has given you this gift of wealth, then use it for His purpose - help others, help the poor, create jobs, give work to others. Having food, a home, dignity, freedom, health and an education are all of God’s gifts too, which is why we must help those who are less fortunate than ourselves. " 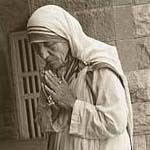 ...Blessed Mother Teresa of Calcutta. A priest friend of a nearby diocese was once accosted by a woman who had purchased a Mass for her deceased father. What upset her was that during the Mass, my friend implied that her father was in purgatory. Today, I've noticed a growing number of Catholics speaking out against the movie The Nativity Story. One friend send me an email she received from a Catholic group (whose name I will not mention) going so far as calling it "anti-Catholic" and "heretical". recognition to Christianity in the public square..."
I would like to direct your attention to Fr. Robert Fox's blog because Father Fox is a renowned Marian priest. It is a fair critique of this movie. BLESSED ARE MARRIED COUPLES WHO COMFORT EACH OTHER -- who provide a refuge and sanctuary from the chill winds of the world; whose marriage is a hearth from which comes peace, harmony, and warmth of soul and spirit. BLESSED ARE MARRIED COUPLES WHO LISTEN TO EACH OTHER -- who listen to not only words, but non-verbal language of tone and expression; who listen to understand rather than to argue. BLESSED ARE MARRIED COUPLES WHO SHOW AFFECTION -- who warm each other with their soothing touch; who remember that just as babies can die from lack of affection, so can marriages wither from a lack of closeness. BLESSED ARE MARRIED COUPLES WHO RESPECT EACH OTHER -- who remember that the most important quality in marriage is to HONOR each other. BLESSED ARE MARRIED COUPLES WHO CAN BE FRIENDS AND PARTNERS -- who remember that friendship can be a peaceful island, in a world of turmoil and strife; who can reflect upon the tranquility of future years shared with a true friend; who are not battling enemies under the same roof. BLESSED ARE MARRIED COUPLES WHO ALLOW EACH OTHER TO BE UNIQUE -- who do not seek to force each other into a new mold that can only fit with much pain and discomfort; who accept the other as God made us. BLESSED ARE MARRIED COUPLES WHO ARE OPEN WITH EACH OTHER -- who avoid secretness that causes suspicion and doubt; who trust and reveal themselves to each other even as a budding rose opens to reveal its beauty and fragrance. BLESSED ARE MARRIED COUPLES WHO CHERISH THEIR UNION -- who let no one separate their togetherness, not another person, nor friend, nor worldly possessions. BLESSED ARE MARRIED COUPLES WHO GIVE EACH OTHER APPROVAL -- who see that compliments encourage confidence in the other, while criticism divides; who do not point out the other's mistakes, for all too soon each will discover their own faults. BLESSED ARE MARRIED COUPLES WHO LOVE ONE ANOTHER -- love is the river of life -- an eternal source of recreating one's self and each other. Above all else -- LOVE ONE ANOTHER, AS CHRIST HAS LOVED US. For the father of a family (who are friends and fellow parishoners of some of our Catholic homeschooling families), who died recently in a helicopter accident in Iraq. Also, Homeschool Nations - Hawaii needs our kokua for the Wreaths Across America Project. If you or your organization can help, please contact Wreaths of America. 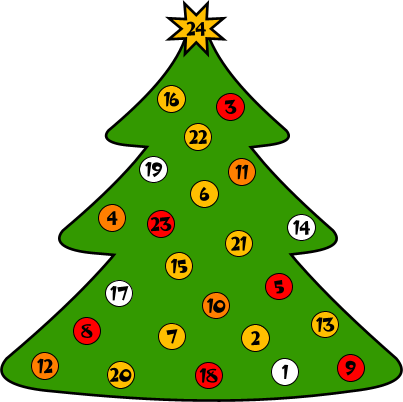 Click Here for a fun and interactive Advent Calendar. 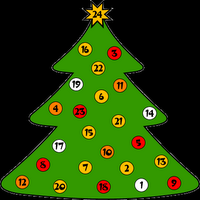 On each day in December, click on the Day Number and discover how Christmas is celebrated in countries around the world. 11:6. 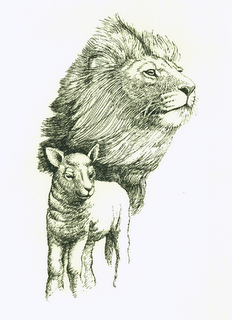 The wolf shall dwell with the lamb: and the leopard shall lie down with the kid: the calf and the lion, and the sheep shall abide together, and a little child shall lead them. O shall my joy be complete! My sheep know my voice. They listen and they follow me. They will never be lost. I give them eternal life. God alone is our source of strength and joy. Hawaii Catholic Herald, page 20. At first, you may find it difficult to make these pauses because of your bad habit of saying prayers in a hurry; but a decade said recollectedly in this way will be worth more than thousands of Rosaries said in a hurry, without pausing or reflecting. 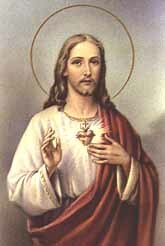 ~ St.
"The Sacred Heart is a hidden and infinite treasure desiring to manifest Itself, to be poured out and distributed so as to alleviate our distress." 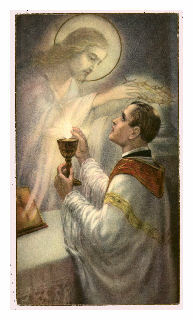 For in the supper of my passion I gave you My Body and Blood to be eaten and drunk; and so now you may do the same on the altar in memory of Me. Therefore I unfold the truth and say to you, my faithful followers: I will not again drink this cup of anguish in this oppression I now suffer from the Jews until that day when I rise from the dead and death is overthrown, and I bring in the day of salvation. 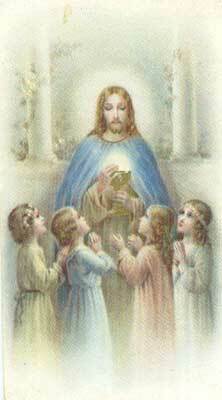 Then I will drink with you the cup of your redemption and show you who are Mine your new reason for rejoicing: that the perdition of the ancient crime is taken away, and the kingdom that My Father has prepared for those who love Him is opened to you. On Sunday April 14, 1985, the Feast of the Divine Mercy, Fr Tom Maniyangat was going to celebrate Mass at a mission church in the north part of Kerala, and he had a fatal accident. He had a head on collision with a jeep. He was rushed to a hospital about 35 miles away but he died on the way. Fr Tom's soul left his body and he experienced death. He saw his body and the people who were carrying him to the hospital. He heard them crying and praying for him. "First, the angel escorted me to hell. It was an awful sight! I saw Satan and the devils, an unquenchable fire of about 2,000 Fahrenheit degrees, worms crawling, people screaming and fighting, others being tortured by demons. I was told there are seven "degrees" or levels of suffering in the netherworld. Those who committed "mortal sin after mortal sin" in life were suffering the most intense heat. They had bodies and looked very ugly, so cruel and ugly, horrifying. They were human but like monsters: fearful, ugly-looking things. The angel told me that all these sufferings were due to unrepented mortal sins. Then, I understood that there are seven degrees of suffering or levels according to the number and kinds of mortal sins committed in their earthly lives. The souls looked very ugly, cruel and horrific. It was a fearful experience. I saw people whom I knew but I am not allowed to reveal their identities. The sins that convicted them were mainly abortion, homosexuality [sins of the flesh], euthanasia, hatefulness, lack of forgiveness and sacrilege. 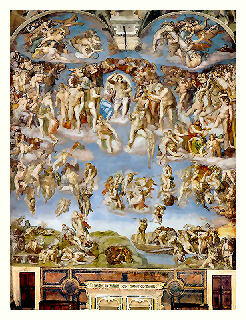 The angel told me that if they had repented they would have avoided hell and gone instead to purgatory. I also understood that some people who repent from these sins might be purified on earth through their sufferings. This way they can avoid purgatory and go straight to heaven. After the visit to hell, my Guardian angel escorted me to Purgatory. Here too, there are seven degrees of suffering and unquenchable fire. But it is far less intense than hell and there was neither quarreling nor fighting. The main suffering of these souls is their separation from God. Some of those who are in Purgatory committed numerous mortal sins; but they were reconciled with God before their death. Even though these souls are suffering, they enjoy peace and the knowledge that one day they will see God face to face. Next, my angel escorted me to heaven passing through a big dazzling white tunnel. I never experienced this much peace and joy in my life. Then immediately the heaven opened up and I heard the most delightful music, which I never heard before. The angels were singing and praising God. I saw all the saints, especially the Blessed Mother and St. Joseph, and many dedicated holy Bishops and Priests who were shining like stars. And when I appeared before the Lord, Jesus told me: "I want you to go back to the world. In your second life you will be an instrument of peace and healing to my people. You will walk in a foreign land and you will speak in a foreign tongue. Everything is possible for you with my grace." After these words, the Blessed Mother told me, "Do whatever He tells you. [John 2:5] I will help you in your ministries." Words can not express the beauty of heaven. There we find so much peace and happiness, which exceed a million times our imagination. Our Lord is far more beautiful than any image can convey. His face is radiant and luminous and more beautiful than a thousand rising suns. The pictures we see in the world are only a shadow of His magnificence. 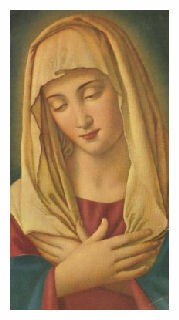 The Blessed Mother was next to Jesus; she was so beautiful and radiant. None of the images we see in this world can compare with her real beauty. Heaven is our real home: we are all created to reach heaven and enjoy God forever. As they were moving my dead body to the morgue, my soul came back to the body. I felt an excruciating pain because of so many wounds and broken bones. I began to scream and then the people became frightened and ran away screaming. One of them approached the doctor and said: "The dead body is screaming." The doctor came to examine the body and found that I was alive. So he said: "Father is alive. It is a miracle - take him back to the hospital." the fire of Thy love. common welfare, or in personal anxieties, was left unaided. of life, of burning charity, and the precious gift of final perseverance. Amen. Portrait as a continuing miracle and testimony. 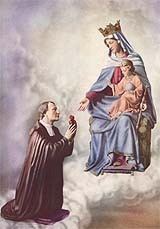 The following Act of Consecration might be said on each day of the Novena. preceding prayers serve as a fitting introduction for a consecration. 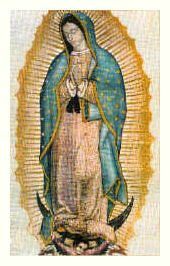 leading the prayers and afterwards enthroning the Picture of Our Lady. name given to the heavenly image left us as a pledge of they motherly kindness. 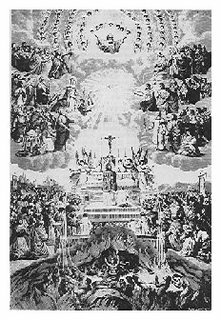 of the Blessed Trinity through eternity in holy Paradise. Jesus said to his disciples:"There will be signs in the sun, the moon, and the stars, and on earth nations will be in dismay, perplexed by the roaring of the sea and the waves. People will die of fright in anticipation of what is coming upon the world, for the powers of the heavens will be shaken. And then they will see the Son of Man coming in a cloud with power and great glory. But when these signs begin to happen, stand erect and raise your heads because your redemption is at hand. Beware that your hearts do not become drowsy from carousing and drunkenness and the anxieties of daily life, and that day catch you by surprise like a trap. For that day will assault everyone who lives on the face of the earth. Be vigilant at all times and pray that you have the strength to escape the tribulations that are imminent and to stand before the Son of Man." 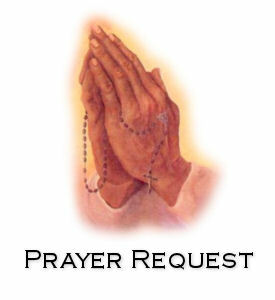 Introductory Prayer: Heavenly Father, I come before you today to spend a few minutes with you, to be close to you, because you know how much I need your presence and grace in my life. My only intention during this time of prayer is to give you glory on your day, Sunday. Today, Lord, I accompany the whole Church as we begin the Advent Season and begin to prepare for your coming to earth as a baby on Christmas morning. 1. The World Then and Now. Dismay, perplexity, and fright could all be attitudes of nations and people around the world today. When Christ came to earth 2,000 years ago he encountered a world similar to the one we live in: far from God and full of anxiety. Many people of Christ’s time lived lives devoid of meaning because God had not yet sent his Son into the world. Today, as then, our world often lives as if Christ had never come to earth. Is all hope lost? Of course not, Christ is our hope! 2. Christ Is Coming. “They will see the Son of Man coming with power and great glory.” This is what Advent and Christmas is all about: Christ coming to earth to give us hope. On that cold, quiet, star-filled winter’s night in a little, poor cave in Bethlehem, God was born into our world. 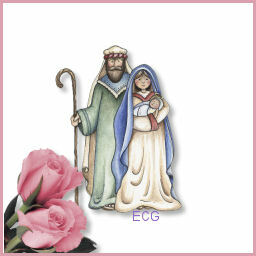 The Almighty came into the world as a small, poor, innocent baby adored only by his mother and father and some animals. Yes, this child is the reason for our hope, infinite hope, because he is an infinite God making an infinite act of love for us. 3. A Heart Checkup. Surprises can be pleasant, like an unexpected birthday party or a shocking close on a business deal. But they can also be unpleasant, like the pop quiz you were given at school or an unforeseen car accident. Will Christmas take me by surprise this year? The good news is that I know that it is coming: only 23 days away. Christ tells us, “Beware that your hearts do not become drowsy and thus allow that day catch you by surprise.” Advent is a time to wake up to Christ in our life. We need to prepare our hearts for his coming on Christmas morning so that he can find in us a place where he is welcome and loved. Christ is the reason for the season! Dialogue with Christ: Lord, help me during this Advent Season, which begins today, to see that the priority in my life is preparing myself and those around me for a truly “spiritual” Christmas. I know it is a busy time of year. Help me remain focused on what is essential -- you being born into our hearts. Resolution: I will begin some form of daily reminder for myself and those I live with that we are in Advent so as to prepare our hearts for Christmas: Advent wreath, Advent calendar, Jesse Tree etc. If you did not subscribe to this service or you would like to cancel your subscription please click here or send an email to meditation-request@regnumchristi.org with the word unsubscribe in the subject line. Happy New Year and I hope you have a joyous Advent!